Legitimation is a legal action that is the only way, other than by marrying the mother of a child, that the father of a child born in the State of Georgia may establish legal rights to his child. Only a father may file a petition seeking to legitimate his child. Generally, the father of a child is held responsible for paying child support, but he may or may not receive custody or visitation privileges, depending on the circumstances. Most fathers may petition for courts for custody and visitation rights, in a process called legitimation. 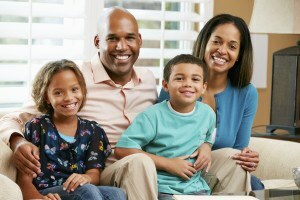 Edwards Family Law represents men and women in paternity matters. We can evaluate your situation, explain the law and discuss how we could represent you. If you were never married to the mother of your children, you should contact us immediately. The law in Georgia assigns all rights to custody and visitation to the mother. She is free to deny visitation until you file your case and get a court order. She may deny visitation even if you are providing child support, so it is imperative to file your case to establish your rights to your child. The sooner the case is filed, the better chance you will have at obtaining custody and/or increased parenting time. If you were never married to the mother of your children, Georgia law assigns all rights to custody and visitation to the mother. She is free to deny visitation until you file your legitimation case and get a court order. She may deny visitation even if you are providing child support, so it is imperative to file your case to establish your rights to your child. The sooner you file your legitimation case, the better chance you will have at obtaining custody or a significant amount of parenting time. An order of legitimation creates a father and child relationship legally between the petitioner and his child. Legitimation establishes that the child may inherit from this legal father and vice versa. This process allows the legal father to be listed on the child’s birth certificate as the legal father. An order of legitimation is the only way that the father of a child born out of wedlock can be recognized as the legal father of a child. During the same case, the court can determine custody and parenting time. Once the legitimation is granted, both parents have equal standing to request custody. Contrary to popular belief, there is no presumption in favor of the mother. We have filed many legitimation cases, and had the fathers awarded custody. Read our father’s rights success stories. Edwards Family Law will do everything possible to protect you and your rights.